Macy’s store is a department store holding company and owner of Macy’s and Bloomingdale’s department stores. Macy’s stores specialize mostly in the retail sale of clothing, cosmetics, jewellery, watches, bedding and bath, dinnerware, and furniture. 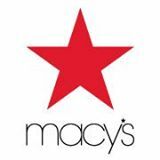 Established in 1858, Macy’s is the Great American Department Store – an iconic retail brand with over 800 stores across the country and online at macys.com.